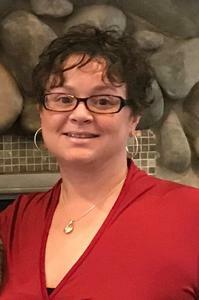 Jennifer Elaine Sanders passed away on 27 March 2019 in Kalamazoo, Michigan. She was born in Kalamazoo on 21 July 1979, the daughter of James Richard and Susan Meyers Sanders of Plainwell, and sister of Jamie Kathryn Sanders of Kalamazoo. Jen was raised on 14 beautiful acres in Gun Plain Township, and graduated with honors from Plainwell High School in 1997, where she played a sweet trumpet in the band, played JV soccer, but really excelled at horseback riding and cooking. Some of our happiest memories are in the kitchen with Jen. If there is a kitchen in heaven, Jen is in charge. Jen spent her freshman year at the University of Colorado, but chose to finish her education at Western Michigan University. She was a loyal fan of WMU men’s basketball, and worked for National City and PNC for many years in collections. Jen loved animals, especially her cats Molly, Cookie and Mona. Jen was preceded in death by her grandparents, Glenn and Edythe (Yungfert) Meyers and William and Evelyn (Hinkle) Sanders. She is survived by her very loving family, Jim, Sue, her sister Jamie; aunts and uncles Bill and Kathi Sanders and Carol and Tom Waye; and cousins Steven Waye, Emily Waye Dalton, and Melissa Ferguson Pennachi. Cremation has taken place. There will be no service. Her ashes will be spread on the 14 acres which she loved, and where she walked dogs and rode horses. Those wishing to remember Jen can make donations to the SPCA of Southwest Michigan, 6955 West KL Avenue, Kalamazoo, MI 49009 or The American Diabetes Association, P.O. Box 15829, Arlington, VA 22215.